More fearful than standing before a large audience to deliver a speech, is standing before God. We fear being found unworthy and sinful. We need only look to the Gospels to dispel our fears. Christ welcomed all to approach who felt unworthy because of their state in life or sinfulness. They need only call out His name or beg His mercy to approach and be healed. St. Thérèse teaches that we should have complete trust in the merciful love of Jesus. His divine heart is irresistibly inclined to pour out its mercy without measure on the abject and the lowly. We are to approach Christ in “trustful humility” with our sinfulness, brokenness, and imperfections before us. Through His mercy our sins will be forgiven, our brokenness healed, and our imperfections refined. In “trustful humility” we should offer ourselves as an “empty vessel” to be filled with the love of God and ultimately absorbed in love in Him. We should never fear His loving mercy. We should approach unhindered, to embrace His merciful love. 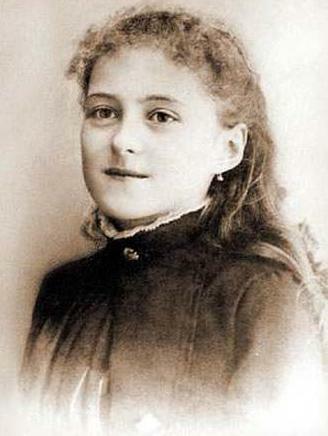 This entry was posted in Essays and tagged Absorbed in Love, Catholic, Catholicism, Christian., Christianity, Humility, Merciful Love, mercy, St. Thérèse, Trust. Bookmark the permalink. I love St Therese. Her teachings on trust and confidence in God’s mercy may be what first drew me to her. It was what I needed to know. Great article. Thank you, Colleen. All are blessed to have such a merciful God. Here is a wonderful post on approaching God and St Therese of Lisieux insights are so simple yet profound.